So we've added three new items to the shop. Let's make your lampshade dreams come true! Plog-it are beautiful coloured cord sets with the oh so elusive SWITCH on the cord! Now you can hang your pretty shade pretty much anywhere and cord itself becomes part of the look! Single port ceiling canopies - Simple and elegant for hanging your shade as a permanent ceiling fixture. The selection is usually pretty dismal at the hardware store so we're offering these three new items. 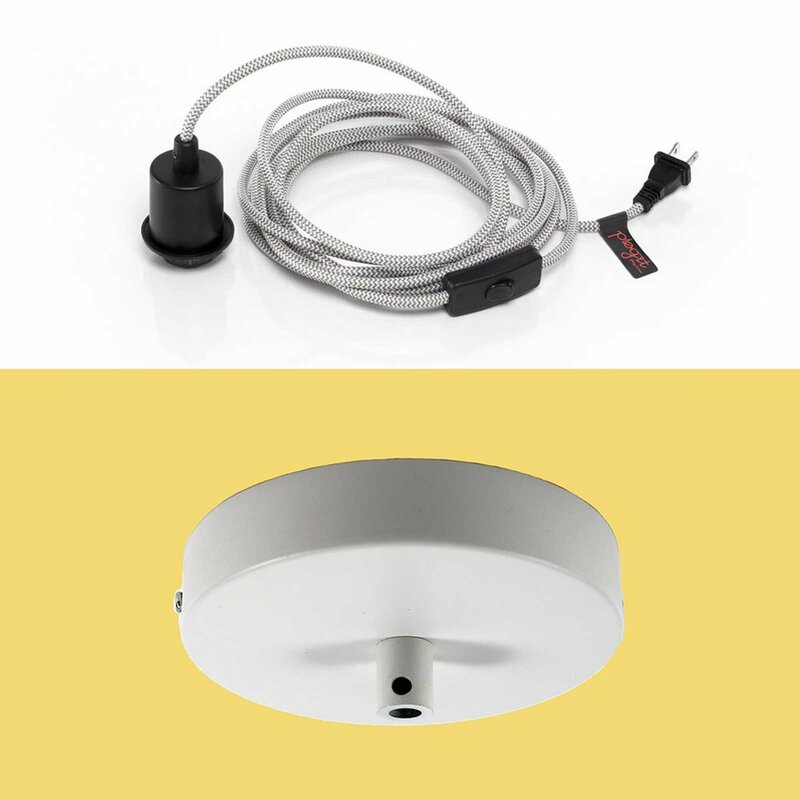 Uno Slip adapter - This hard to find adapter slips over European (aka Ikea) lamp sockets allowing you to add a standard harp and lampshade with spider fitter. Super handy for switching out the boring shade on that Swedish lamp. And let's not forget diffusers. Unless you enjoy staring directly at a bare bulb. Laser cut in Laval! I found the perfect natural white polypropylene material 1/8" thickness. Diameters from 8" up to 16". Custom sizes are available with a delay of two weeks.